Located in the Norwegian Sea, Under is the first underwater restaurant in Norway designed by Snohetta. We are inspired by this because it is not only a great design but is a feat of engineering and architecture that seems to blend in with its rugged surroundings. 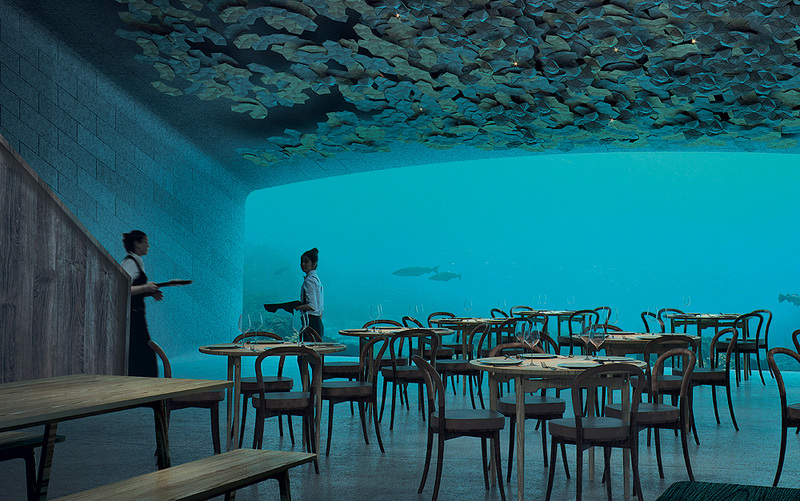 Also, apart from offering a unique place to eat, Under also acts as a marine research center.